Today I’d like to talk about Azure integration services that you can leverage within the platform. Integration services allow data to interact with other applications or businesses and to move data around within the platform. I’d like to discuss what is currently available, where it might fit, as well as give you an overview of the capabilities of Azure integration. Let’s start with the “business” or user friendly integration tools. This workflow engine comes with Office 365. It’s a lightweight data integration engine that allows business users the ability to integrate between different types of applications. For example, you can use flow to integrate between SharePoint and drop data into email or use an email and drop data into Azure Storage. It’s set up to be simple to use and no custom coding is really allowed. Power users that are used to moving data around or have worked with SharePoint workflows will find this easy to transition to. Logic Apps is available in Azure as opposed to Office 365. It does allow you to go after the code and create within the context of Visual Studio. Its graphical interface is almost identical to flow, with almost the same capabilities, but we can expand on those capabilities. It also gives you more around security and things that make it more IT friendly. This is about moving messages around; it’s a message broker service. It handles data from all kinds of sources, on and off premises, cloud based, mobile, etc. It’s a highly scalable, high volume service and one of the most mature services in the Azure platform. This integration tool does a lot of the same types of workloads as SQL Server Integration Services (SSIS) or Informatica. 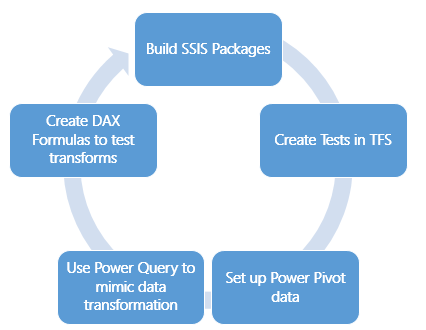 With Azure Data Factory V2, you have the ability to take SSIS and put it in as an integration runtime and run SSIS packages in the context of Azure Data Factory, thus making its capability even greater. This awesome V2 version has a lot of capabilities that are not available in V1 and it has much more control around it. It enhances our ability to integrate data and ETL type of functionality and workflow. This tool manages events coming off different devices and applications and simplifies the whole process of anything event driven. So, if you’re tracking events off an app or an IoT and trying to figure out what you’re going to do with that data or how you’re going to manage it, the event grid simplifies that infrastructure for you. Web jobs are part of the app service, functions are not, they are serverless. The idea behind these is they allow you to basically distribute code and have the ability to do other interactions. So, you have all these options available for integration. The key is to understand what makes the most sense for you and your business. Each gives the opportunity to leverage it in a certain space, some have more expandability than others and some require more coding. 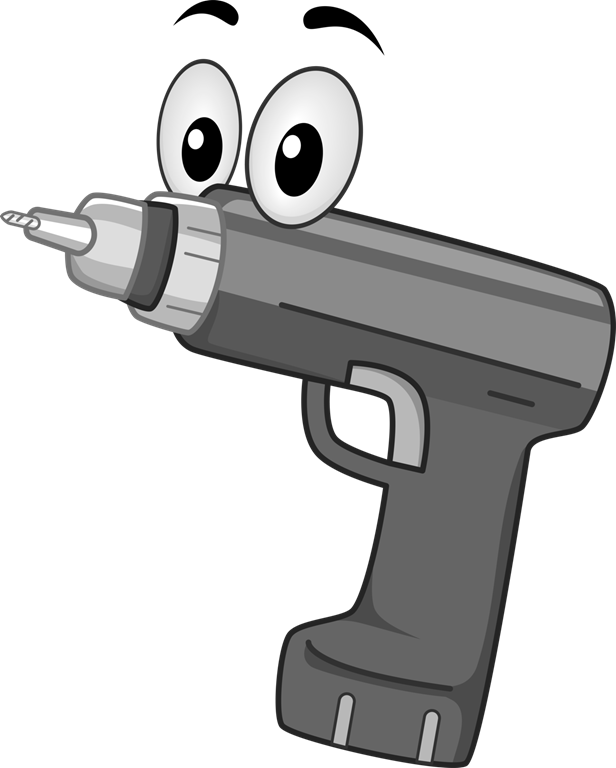 What you need to do is find the right tool for the job. In some cases, you may need more of a toolbox scenario, where you put pieces together, so you can get the best of all of them. You need to determine the best way to integrate the apps you have, from everywhere your apps and users exist, across your enterprise. As you have likely noticed in my series, Oracle Tips for MSBI Devs, I have done a lot of work with Oracle through the years while delivering BI solutions. One of the pain points of working with Oracle in development is setting up an Oracle development server. Even though I have installed Oracle a number of times, it is never seems to be an easy process. 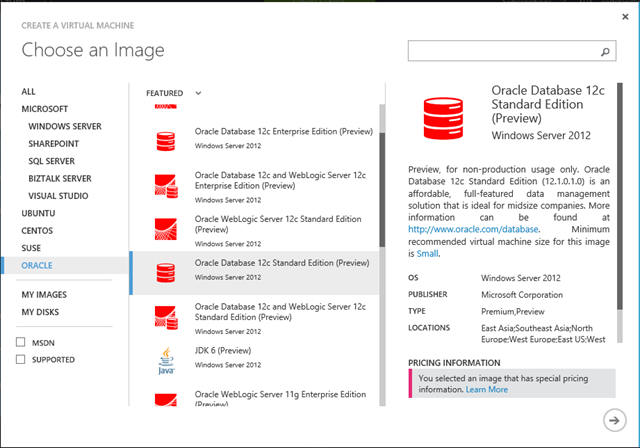 So, I decided to try out the Oracle Virtual Machine template in Windows Azure. I will walk through the setup process here. I need to use Oracle as a data source for some SSIS development. From the Windows Azure portal, select the Virtual Machines tab then “Create a Virtual Machine”. This will open up the variety of options available to create the VM. Select the FROM GALLERY option which will open another dialog. I will be using the Oracle 11g R2 Standard Edition on Windows Server 2008 R2. The next step is to name and pick the size of the VM. The minimum size for this is Small and is what I used. I then completed the setup including setting up the endpoints and creating a new user. I had originally tried to use Oracle 12c, but significant changes have been made to support multitenancy which make set up considerably more tedious with very few good examples available on the web. Most of the advice given by Oracle pros was to “Read the _____ Manual!” While “sensible”, I just needed a simple dev environment. This is one of the significant advantages of working with SQL Server, community help is abundant and usually pleasant. For instance, Microsoft recently published a document for setting up the Oracle 12c VM. I used it to work through some of the setup instructions below. Once the initialization was complete I used the connect button to open an RDP connection to the VM from the Azure dashboard. One thing to keep in mind, be sure to keep track of the user name and password you created. This your admin account and you will need it to log in to the VM. Now you have a running VM. At this point, I went and found the Oracle tools that I typically use and pinned them to the task bar. Because I always for get some of these steps, and I really don’t want to read the manual, I listed the steps I used to create a simple set of data for use. This is not good enough for production, but it is a starting point. Step 1: Create a Listener. This is required before you can create a database. To do this open the Oracle Net Configuration Assistant. From here you can create your first listener. I left the default settings for the setup. Step 2: Create the database. (This is the equivalent of an instance in SQL Server.) I used the Database Configuration Assistant for Oracle Database to create my first database on the server. This can be found in the Oracle home directory on the start menu.I chose the General Purpose template for my database. Most of the steps make some sense. I did choose to add the sample schemas as this is the easiest way to verify I can connect and work with the data. After all of this, the database will be created based on your choices. Step 4: Create a new user and schema. (This is similar to the SQL Server database, not a SQL Server Schema.) This will give a location to create tables for loading data in the next steps. In accordance with typical Oracle support you can read about how to do this here: http://docs.oracle.com/cd/B19306_01/server.102/b14200/statements_8003.htm#i2065278. Or I can give you a good starting script and save you time. Your welcome! This will create a database using existing tablespaces. This is NOT a production level script and it is barely good enough for development. But in my case, I am using Oracle as a source and don’t plan to do much development or work on it so it meets my needs. If you need more insight, I guess you will need to read the documentation. 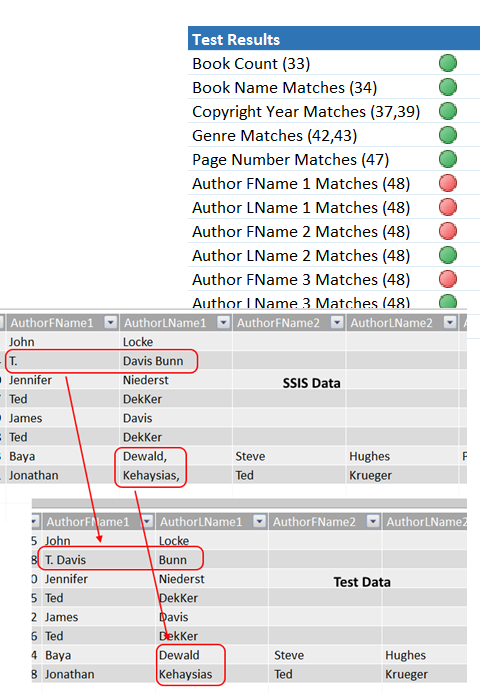 Step 5: Create a table and add rows. 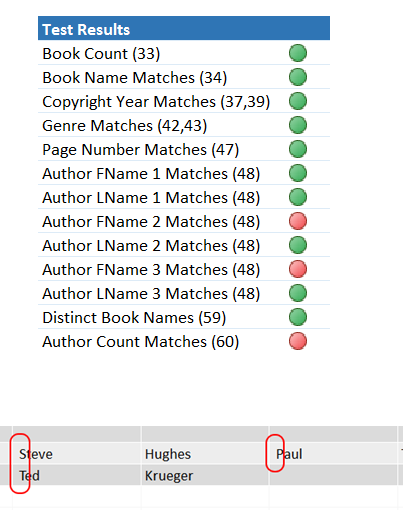 I continued to use the SYSTEM login and created a couple of simple tables within my new schema. I then used simple INSERT INTO statements to add data. 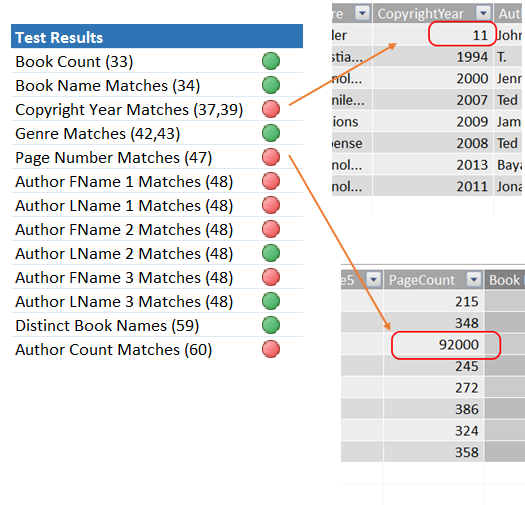 Now you have some basic data to work with to test connectivity with SSIS or SSAS. In order to access your Oracle database on the VM you need to enable the port. You do this by going to the Azure portal and selecting the VMs tab. Once there, go to the Endpoints tab. You may recall that when you created the VM, you were asked about the Remote Desktop and PowerShell ports. Here are the steps to create the Endpoint to support Oracle. Click Add to open the Add Endpoint dialog. On the first page, leave the default which will add a stand-alone endpoint. On the second page you need to add a name (I used “Oracle”), select the TCP protocol, and put port 1521 in both the private and public port textboxes. Once completed you should see the new endpoint in the list of available endpoints as shown below. 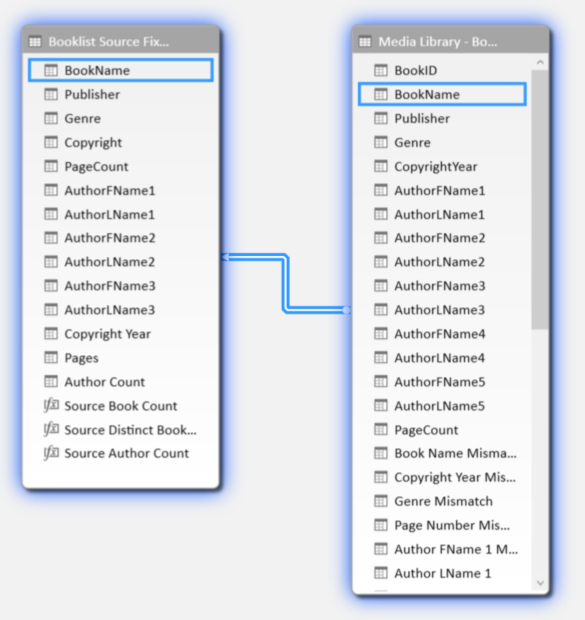 Now that we have data in the db, it is time to create the connection to SSIS and load data and run queries. The key parts to get right are the HOST, PORT, and SERVICE_NAME as highlighted above. 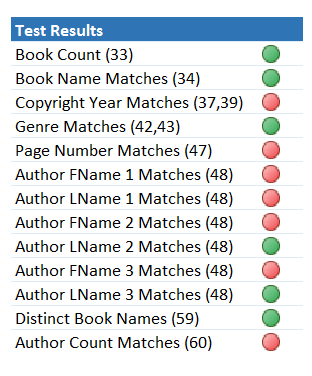 Once TNS was in place, I was able to create an ODP.NET connection to the database and proceed to load the data. I know that some of this has been simplistic but it is great that I don’t have to install Oracle myself. This functionality makes Azure even more appealing as a hosting solution. The Open Data Protocol (OData) is an open specification created Microsoft to enable exposing data in a standard way from a variety of sources. OData is natively supported in many of Microsoft’s products including PowerPivot, Excel 2013, SQL Server 2012 Analysis Services Tabular Model, Windows Communication Foundation (WCF), and Entity Framework to name a few. Furthermore, Microsoft uses OData to expose data feeds from the Windows Azure Data Marketplace as well. I pursued adding an OData source to SSIS as a result of Mark Souza’s presentation at the Minnesota SQL Server User Group in April 2012. I posed a question about easier interaction with Oracle. He mentioned that OData would be a good way to solve that issue. This led me to put together a presentation which I delivered for PASSMN in July 2012 entitled O, There’s My Data: The Open Data Protocol. At that presentation, I reviewed the “pain and agony” of a data pro putting together a data feed using Entity Framework in C# and WCF to expose it. For the most part, with the help of .NET pros at Magenic including Dave Stienessen ( B ) and Sergey Barskiy ( B ), I was able to create my first entity model and expose it using WCF. After that I worked on how to consume the feed without purchasing a 3rd party tool. Here is the rest of the story. While looking for solutions that allowed me to implement an OData feed into an SSIS package, I came across a Hands on Lab on Channel 9. While the focus was on Reporting Services, I was able to use the steps to create a package that would read a feed and make the data available to the ETL process. 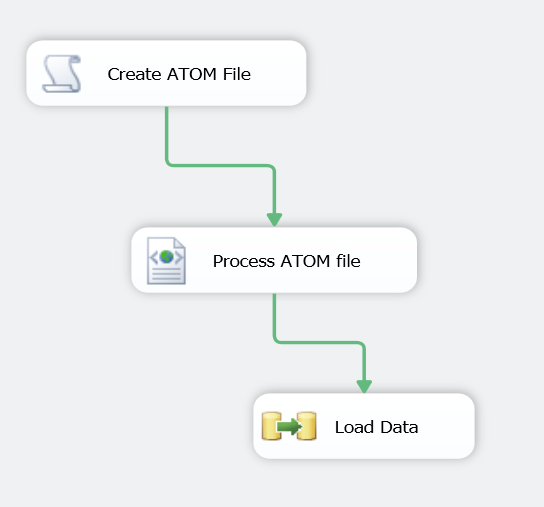 In a nutshell, this exercise involved three tasks – creating an ATOM file, processing the ATOM file and loading the data using an HTTP connection manager pointed to the OData feed. While you are creating this package, you should run each step after you have created it in order to use the files created in the following steps. This task will create an ATOM file that will be used in the next step to retrieve the data. This task will use the new ATOM file to create an XML file with the data. It uses the XSLT operation type pointing to the File Connection Manager created in the previous step as the source. This will result in another File Connection Manager to support the destination XML file with the data. Finally, in the exercise as second operand set of XML is used to clear unsupported headers. Admittedly, I just copied this straight from the example and still am not sure of the details of what it does. 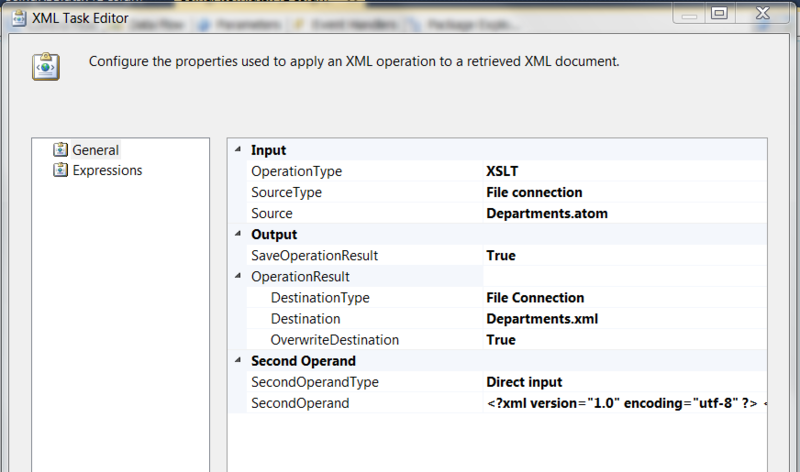 Here is a look at the XML Task Editor so you can see the settings I used. The final task is a straightforward data load using the XML Source Component pointed at the file XML file I created. 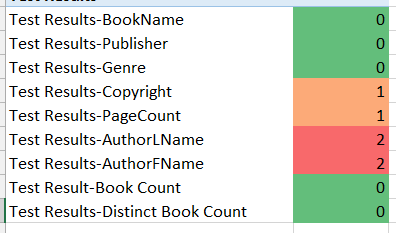 Then I created a matching table in a database which I used as the destination. This will work with SSIS 2008 and SSIS 2012. I tested most of the work in 2012, but the code in the illustration supports 2008. This option does require that the package write at least two files to the server to work correctly. In some cases, this will not work in enterprise environments as the data will now rest on the server for a period of time or the admins do not want files created on the server. NOTE: This is the preferred solution, but is not available in SSIS 2008 which uses the .NET 2.0 Framework. This solution requires the .NET 3.5 Framework. 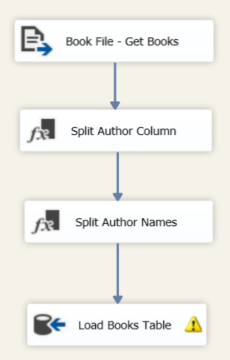 This version uses a custom SSIS source to connect to the OData feed and populate the data flow pipeline. I did not find this option illustrated anywhere and used help from the Dave and Sergey to put this together. 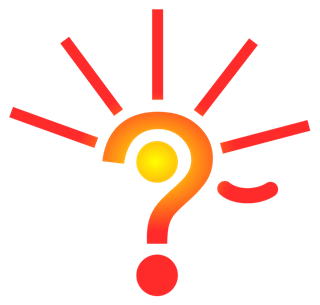 I spent many hours trying to solve this issue and at the end of the day, it is fairly simple. So, hopefully, this will save you some time as well. This package only has one workflow task – a data flow task which contains the rest of the code. 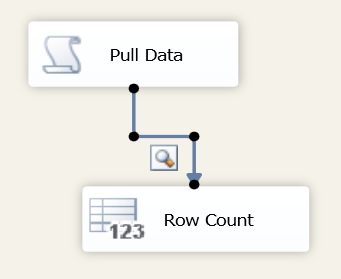 In the data flow task, I have a Script Component implemented as a source and a Row Count with a data viewer on the pipeline to check results. This was my first experience creating a custom source. 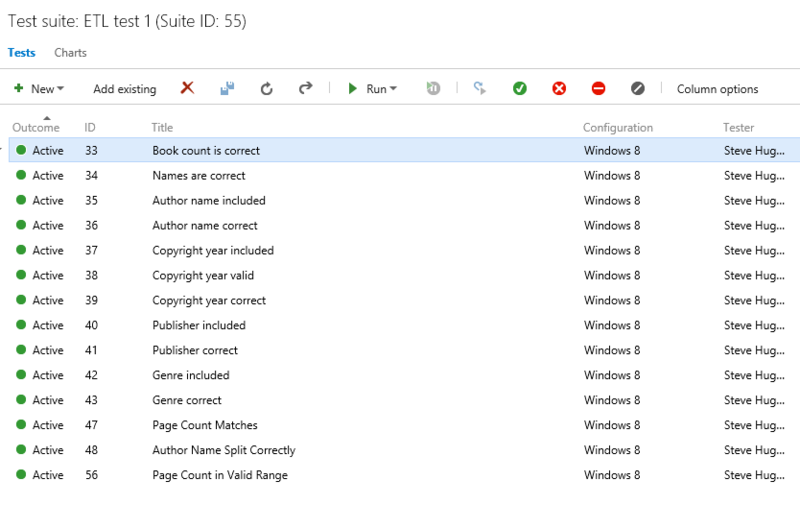 I used a post from SSIS Talk – SSIS Using a Script Component as a Source as a reference. If you need help creating your first script source check it out. Be sure to set your outputs prior to creating the script or you will not have them available to map to in the code. You also need to add the HTTP Connection Manager you are using to point to your OData feed. Once you have the basics set up, you need to add some references including the targeted data service and System.Data.Services.Client. These are the key references for the code we are implementing. Once you have these references you will need to add the following to the Using statements to the Namespaces region. The SC_ reference is the internal name for your script component and will be different from mine, although it will likely be in the same format. Next, you need to add the following declarations in the ScriptMain class as shown here. The AdventureWorksEntities is from the service reference I created. You will need to know the context name for the service reference you are using. 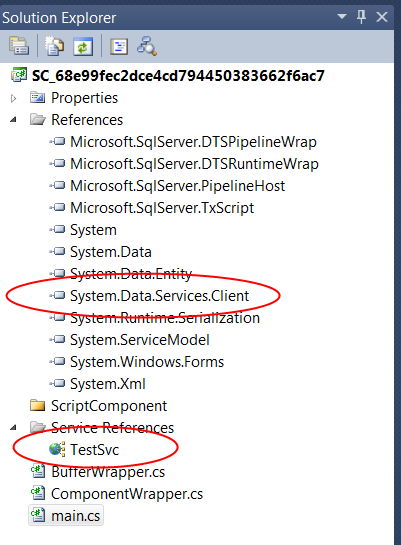 In the CreateNewOutputRows method in the SSIS script you will add code that runs a DataServiceQuery which adds the data to the data flow pipeline. In my case, my Output was called Departments and created the buffer reference you see in the code. It has the output fields I defined for my source. Here is the code I used to implement the solution. This will query the service and return the rows. Alas, that is all it really took to solve this problem. While this solution does not work in SSIS 2008, if you are planning to use a lot of OData, I would recommend using this as another reason to upgrade to SQL Server 2012. 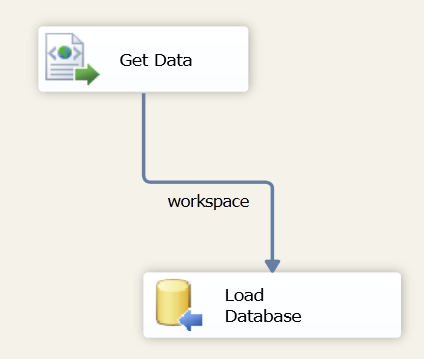 What I found interesting is that Microsoft does not have a native method to load OData feeds into the Data Flow Task in SSIS. I have since created an Connect item to see if we can get this added. Vote here if you agree.